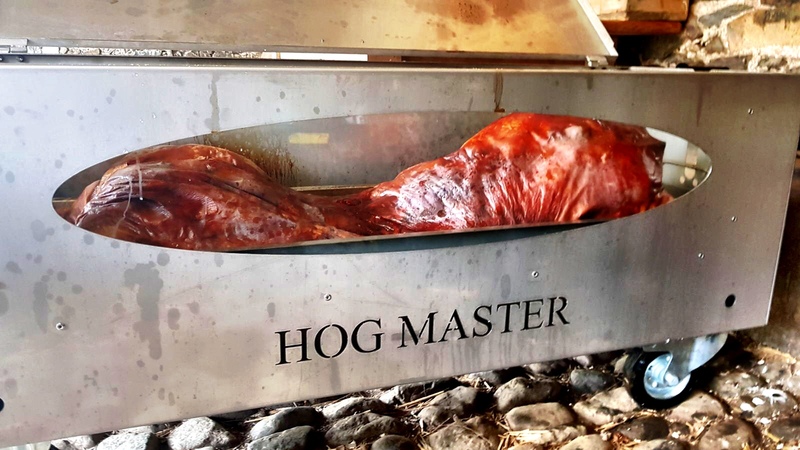 Did you know that Hog Roast Leamington Spa not only provide expert catering for any and all events, but we can also help you provide your own hog roasts?! 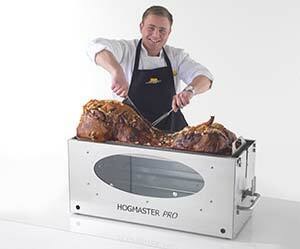 This is as we actually sell and hire out our trusty hog roast machines to the public. We believe that everyone should at least once in their lives experience the satisfaction of having provided your guests with a home cooked meal from scratch that just perfectly hits the spot every time – and that’s what a Hog Roast Leamington Spa does! Last week we met Gina who told us she wanted to step up her catering game. Having been in the business for a number of years she had mainly focused on buffet catering and a cake business that she ran on the side. But after twenty years of providing the same food she wanted to branch out and offer her customers something new which was where she got the idea for a hog roast. 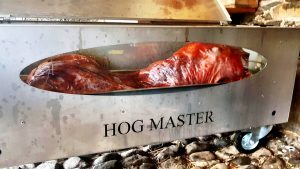 We have to admit hog roasts are becoming ever more popular as people start to look for the ‘wow’ factor in their catering choice and a hog roast really does add something to an event. Whether it’s the spectacular sight of the hog itself slowly cooking away or the smell of it cooking we aren’t sure, but we know customers love it. 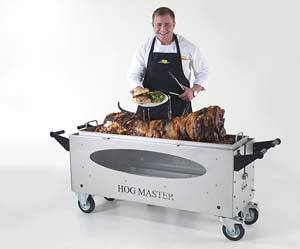 We recommended to Gina that she try one of our Hog Roast Leamington Spa machines for herself and offered her the option to hire before buying. However, Gina, after doing extensive research on our website, had already set her sights on the Hogmaster and was ready to make an order! We gladly accepted the order and made sure we gave Gina a quick crash course in using the Hogmaster before wishing her luck on her future catering endeavours, we can’t wait to hear how it goes! Why not get a Hog Master?